The reason why the second half is in chinese is because it's basically the song all over again. 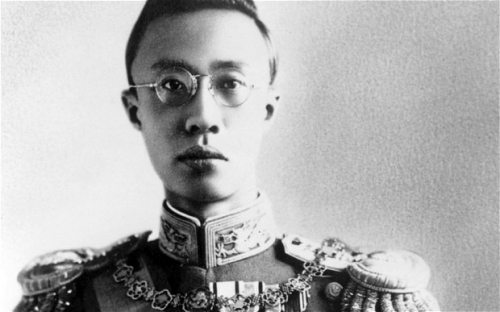 During the Second Sino-Japanese war the Japanese Government tried to reestablish the Qing Dinasty back in power in China, first putting Puyi at the head of Manchuria. Something that would have eventually brought back the Qing rule in China, and ended the Communist and warlord rule in the country.